Got the nut. Now what? Where’s the best place to bury it? 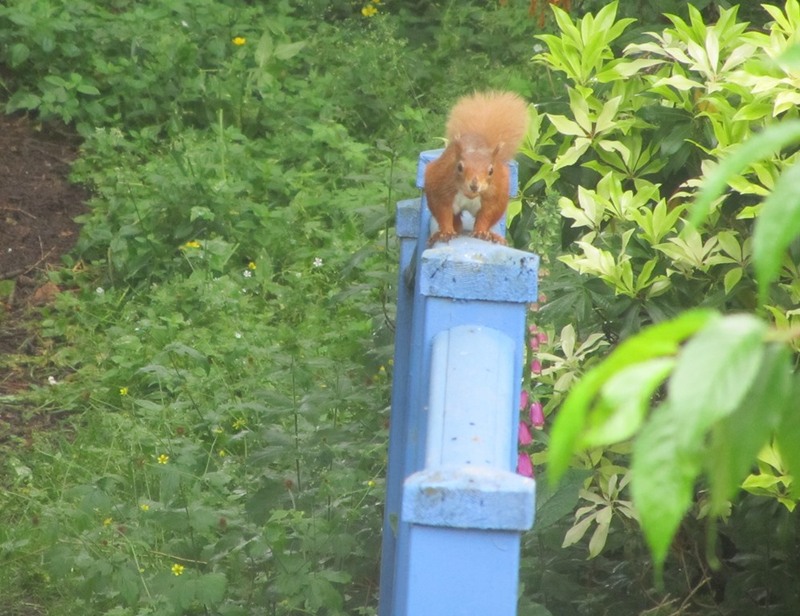 Over the bridge in to the flower bed seems a good place. Remember to keep to the left on the bridge. Job done. Now back for another. Remember to keep to the left on the bridge. 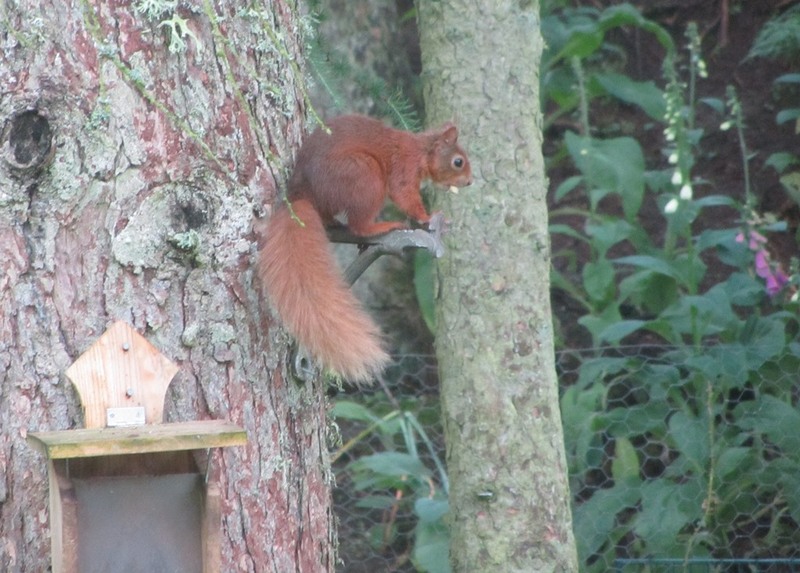 Many readers will be aware that we have had three red squirrels in the garden since last July. Unfortunately a couple of months ago one was killed on the road and though we were sure two remained we never saw both together. A squirrel was seen two or three times a day but we were never sure if it was always the same one. For the last five days no squirrels have been seen. During that time we could see through the perspex front of the squirrel feeder that there was a shiny white peanut with no brown husk on it in and it never moved position. I’m sure a squirrel rummaging among the peanuts and pine nuts would have moved (or eaten) it so we were resigned to the fact that the squirrel (or squirrels) had gone. 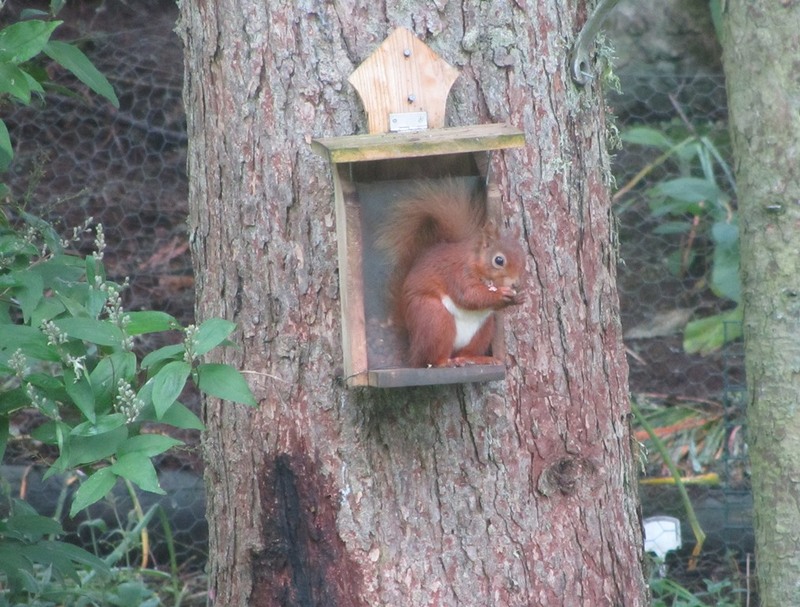 There was great relief this morning when there was not one but two red squirrels at the feeder. One was much darker than the other and had a very small patch of fur missing in the centre of its back. There was no animosity between the two, and in fact one reached out with its paw a couple of times and touched the other squirrel. Amazingly the darker coloured squirrel was active for most of the morning, eating and burying nuts. I’ve no idea where they had been but we are all very glad they are back! The photos were taken this morning. 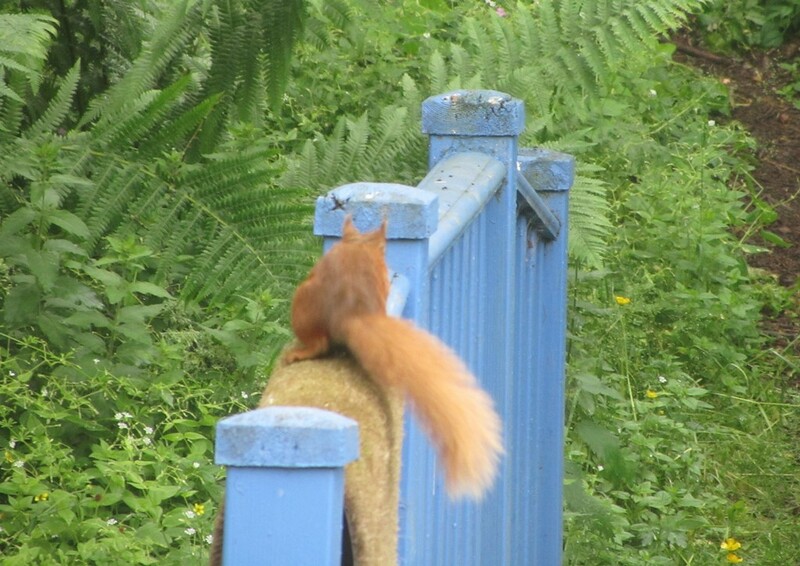 This entry was posted in Uncategorized and tagged red squirrel. Bookmark the permalink.